Riding through Copper Canyon, Wyoming, Clint Adams is trying to mind his own business for a change. But when a man is murdered, it's everybody's business—at least according to Big Al Henry. With his son accused and awaiting trial, Big Al wants the Gunsmith to prove his boy is innocent—and he's rich enough to make it worth his while. 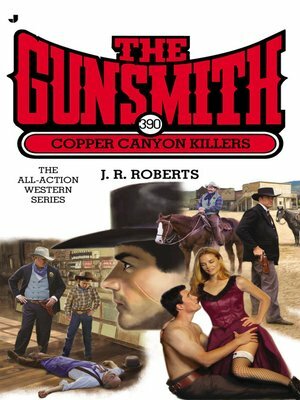 With the town judge hell bent on convicting the boy, and the real killers still lurking around town, the job turns deadly—and that's the kind of business the Gunsmith does best.